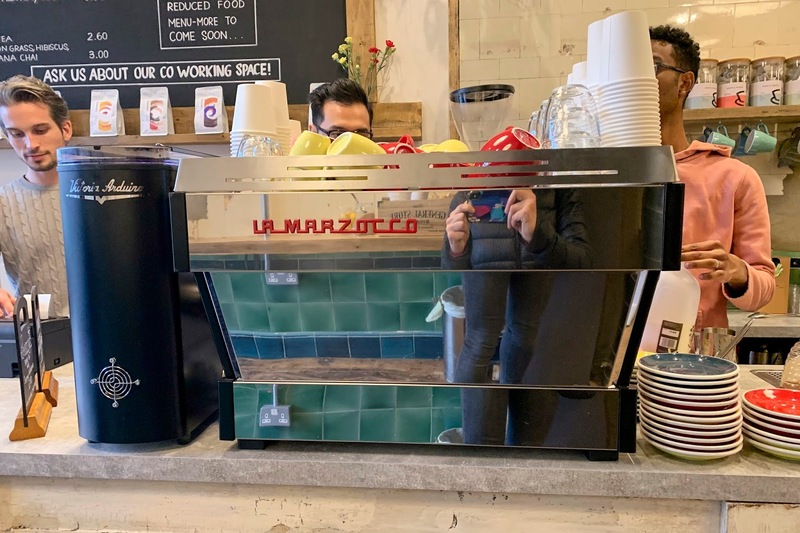 In case you missed you somehow missed the memo, King's Cross has become a great speciality coffee destination in recent years. 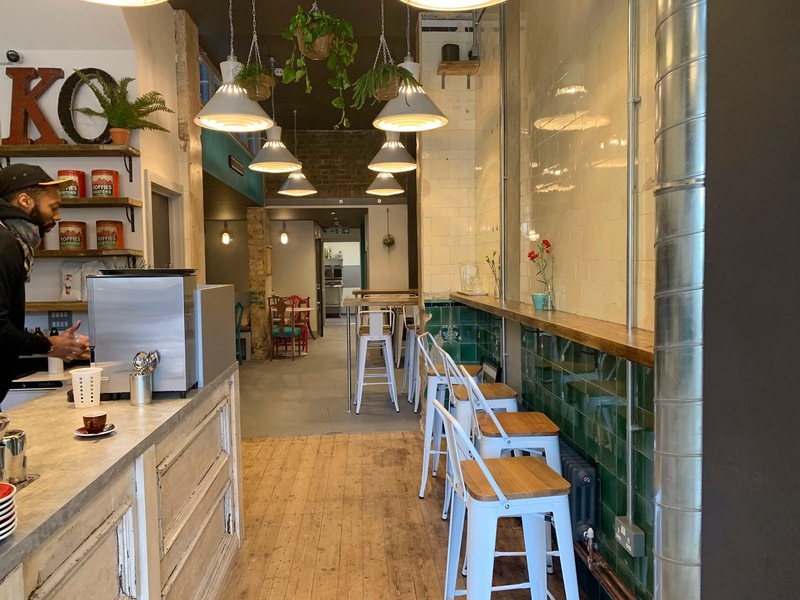 My 2016 coffee guide for the area has fast become out of date, with Le Café Alain Ducasse and Redemption Roasters, in the sleek new Coal Drops Yard development, among my favourite recent openings. Ko Coffee, a new coffee shop and co-working space on Pentonville Road, is a little closer to King's Cross station, and in close proximity to Pizza Union and Honest Burgers, so I spotted it before it had even opened on a lunch break. 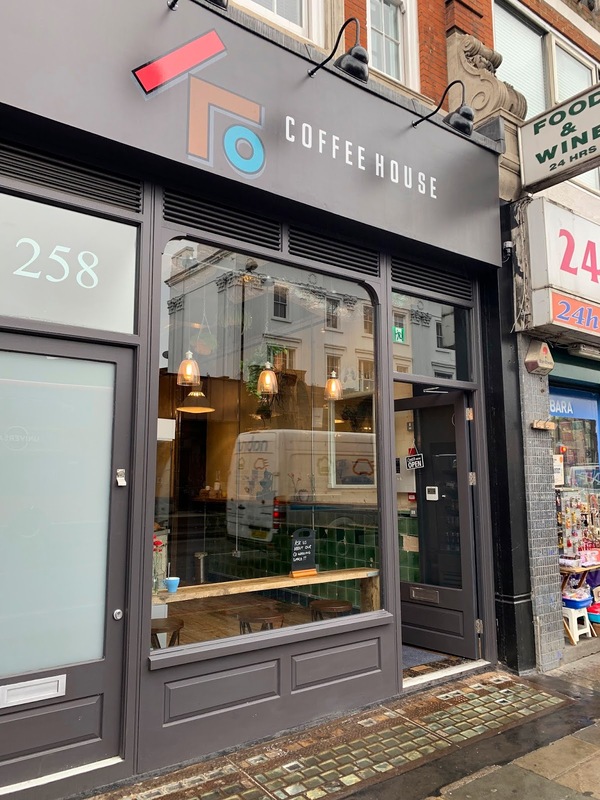 And once I noticed the coffee beans from Assembly Coffee, one of my favourite London coffee roasters, I began to follow its progress with interest. I've visited twice since Ko opened in late March and enjoyed very good espresso-based drinks on both occasions. 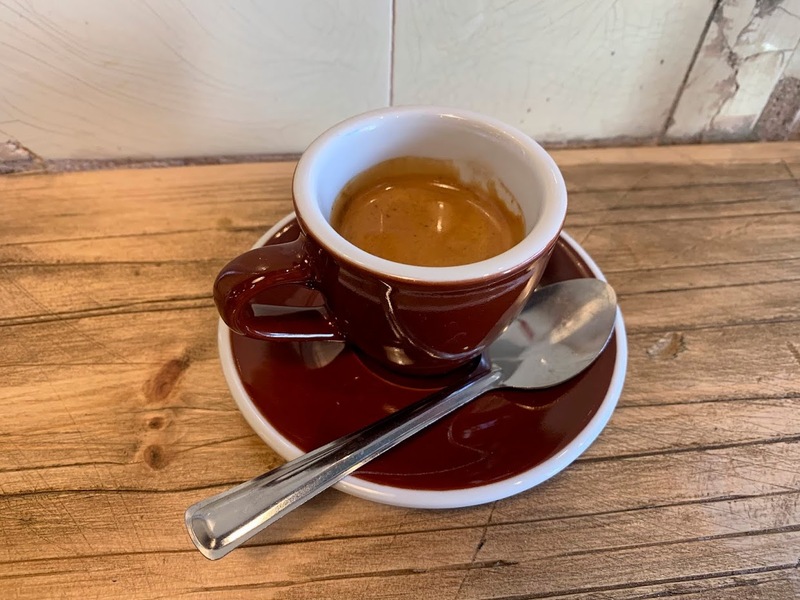 The house espresso is a Guatemalan coffee, which worked beautifully as a piccolo when I popped in on my lunch break one rainy Tuesday. 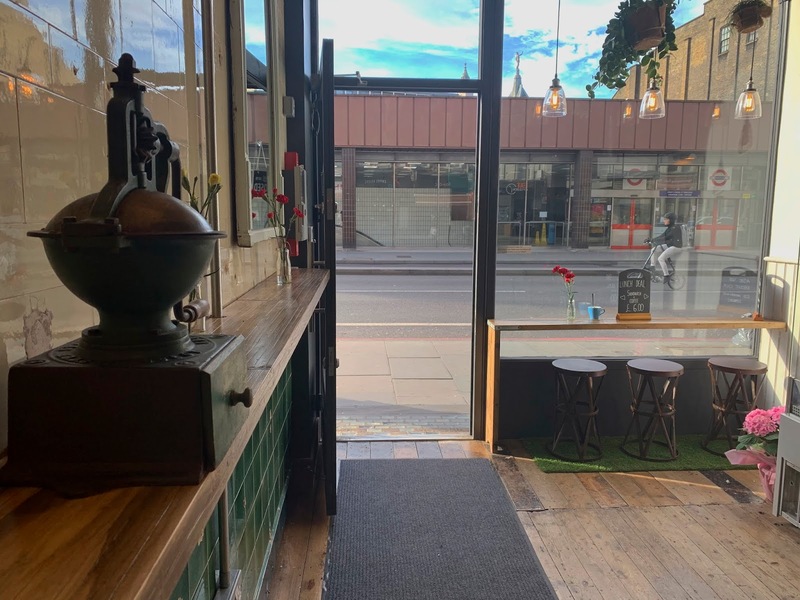 I perched at one of the high stools set up alongside the wall opposite the counter so that I could chat to the baristas while I drank my coffee. 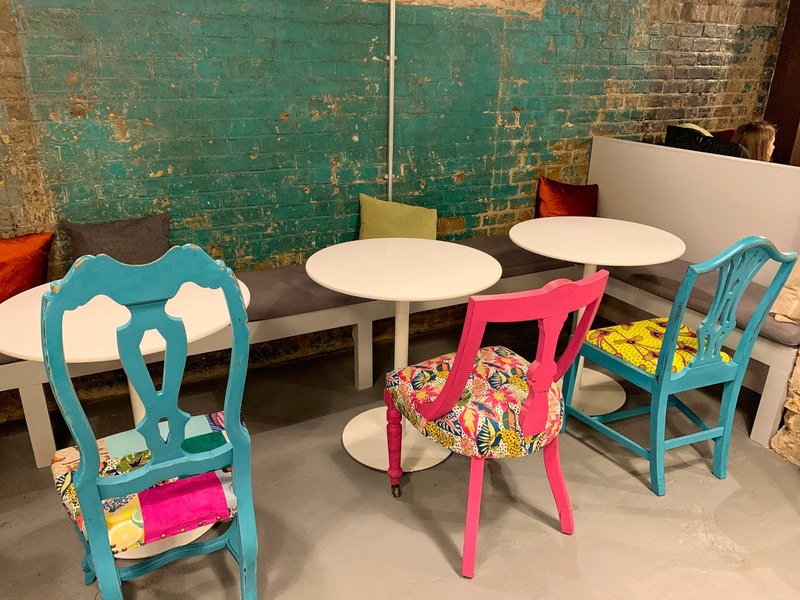 There is more seating and some lower, larger tables at the back of the cafe. 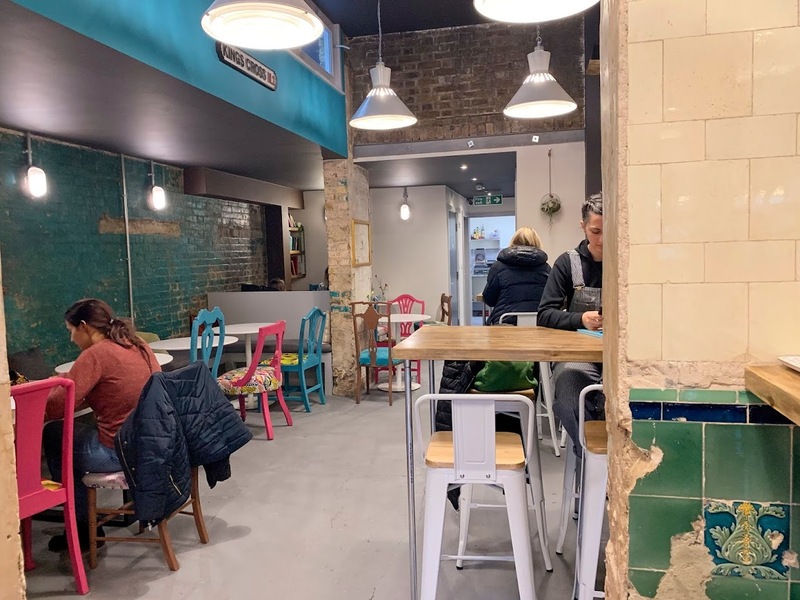 The décor is rustic but colourful, with exposed-brick walls, tiling and some period features. 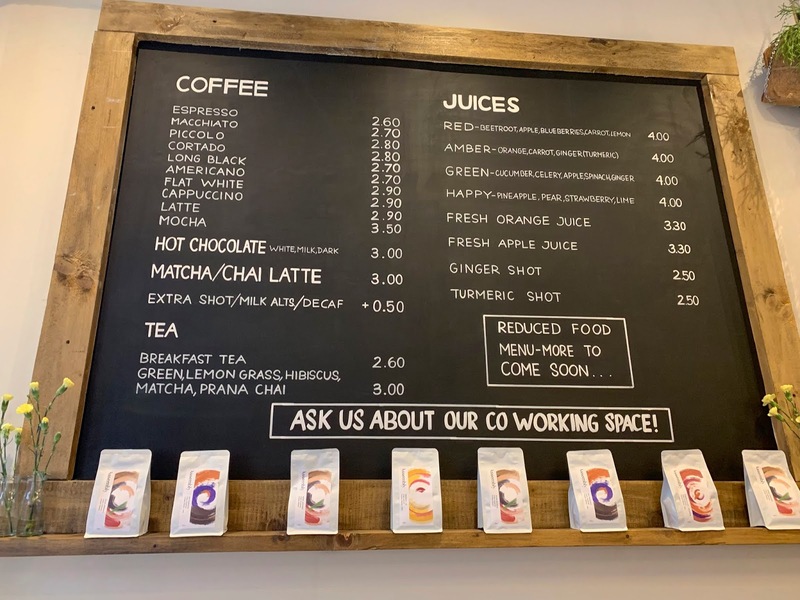 Ko's name hints, in part, at the co-working spaces upstairs and in the basement, where there are desks, chairs, printers and wifi. The food menu wasn't yet fully available when I visited, but I was tempted back to try the breakfast deal, which costs £4 for a coffee and a pastry. I was in a bit of a rush and opted for an espresso, which was very well brewed, along with an almond croissant. There is toast and a few cakes on offer too, if you want something more substantial and/or sweeter, with more options to come. 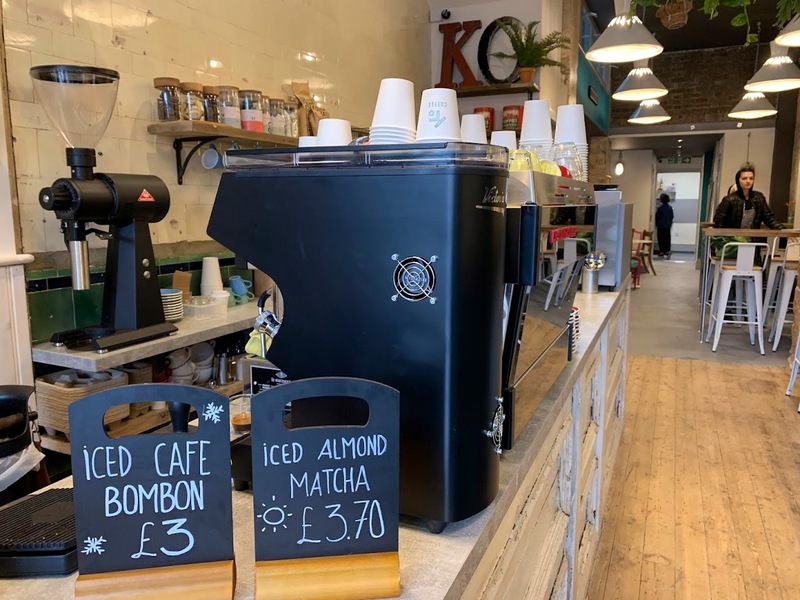 With its convenient location, friendly staff and great coffee, Ko is a very fine addition to the King's Cross neighbourhood. I'm also particularly pleased to have a place to buy Assembly beans so close to my office. Ko Coffee. 258 Pentonville Road, London, N1 9JY (Tube: King's Cross). Website. Instagram. 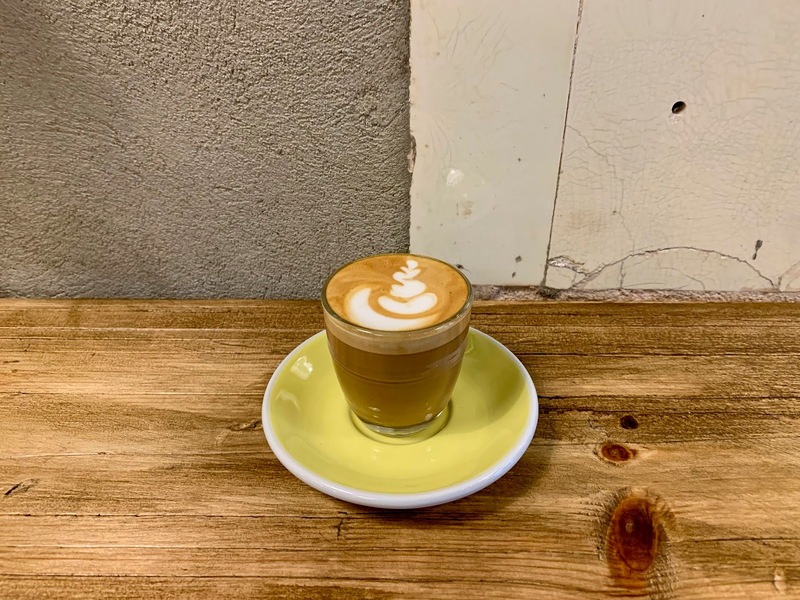 For 100+ more of my favourite coffee shops in London, please check out my speciality coffee guide.